I have one baby and another on the way. So right now, I am buying lots of baby products. I always do my research for the best and safest brands. Once that part is done, I start searching for the best prices. If you are looking for a one stop shop for all your baby needs, The Baby Store PLUS is a great place to start shopping. 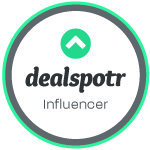 They have everything you'll need from cribs to feeding tools, at prices that are way below normal resale for all the best name brands. For my review, I was given a $25 gift certificate so I would experience the full baby store process. Shopping on the site was easy and secure. Everything is divided into categories so you can find just what you're looking for. I decided to purchase a Clean Shopper Chic Shopping Cart Cover. The one I picked is black with swirls so I can use it for both Willow and my new baby boy. Unlike the pink one I already have, it does not show dirt or get stained easily because of the dark color. It actually fits better than most covers on shopping carts as well as restaurant highchairs. These covers are a necessity for sanitary reasons, and I would never be without one no matter what the price. But let me tell you, for only $28, this cover is the nicest and the most affordable I have come across to date. And I have gone through four kids over the course of ten years. 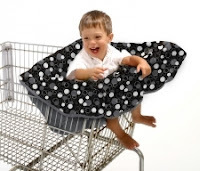 The shopping cart cover is only one example of so many amazing products you can find at The Baby Store PLUS. They also have toys, clothes, and more. Shipping is quick too. I had my items only two days after the order went through. Plus shipping is always a low flat rate of $6.95 for all orders. 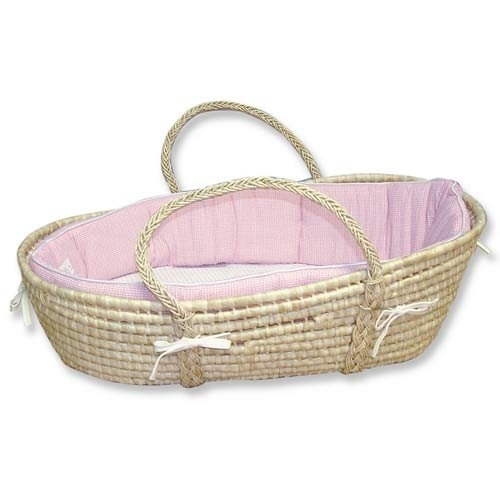 If you are expecting a baby or need to pick out the perfect shower gift for someone who is, you can get all your shopping done quickly and conveniently at the The Baby Store PLUS. One lucky winner is going to receive a $25 to use towards any item of the site! 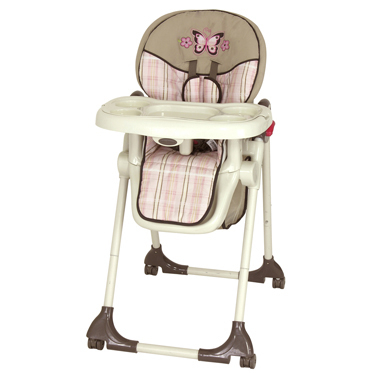 To enter, just visit The Baby Store PLUS and tell me what you would get if you were the lucky winner. For additional entries, you can do any of the following, but you must complete this initial entry first. Any entries that do not follow these guidelines will be deleted. This giveaway will end at midnight on 7/5/11 and is open to the continental US only. Only one set of entries per person/household/IP address. The winner will be chosen via a random number generator. Thanks again to The Baby Store Plus for offering this great prize! I've been looking at the baby store plus and they have EVERYTHING. Right now my main priority is diapering so I'd probably get some GroVia Newborn cloth diapers with the $25 gift card. Great review! I've never even thought about a shopping cart cover (pre-mom immaturity). A must indeed. I subscribe to your blog via email. I subscribe to the baby store plus feed. I would get the alligator zoobie if I won. I like the Diaper Bath Storage Caddy. TaraBurkhart at juno dot com. I would love to get a hoppy for my little sister who is pregnant with her first baby! I subscribe to blog emails. I follow you on GFC as AnneL. I sent a friend request to you on FB as Anne Loyd. I like New Age Mama on FB as Anne Loyd. I follow you on Networked Blogs as Anne Loyd. I like The Baby Store Plus on FB as Anne Loyd. I subscribe to The Baby Store Plus newsletter. I'd get some GroVia liners and perhaps a GroVia shell! i would get the Potette Plus 2-n-1 Portable Potty & Trainer Seat- hopefully we'll need it soon! I would get the "Chick Magnet" Message Bodysuit by Trend Lab. I like your page on FB. Your button is on my blog. I like your author blog on FB. I like Baby Store PLUS on FB. Fan of NAM on FB Lisa W.
Follow New Age Mama on Network Blog. Follow your author blog on GFC. Follow the Baby Store Plus Blog on GFC. Subscriber to the Baby Store Pluse Blog Newsletter. Follow the Baby Store Plus on Network Blogs. I love the zoobies - especially the olivia one!